In this spirit, Green Sangha kicked off a new action, ‘Engaged Meditation,’ choosing the occasion of the 33rd annual Coastal Cleanup Day, Saturday, September 16, 2017, at McNear’s Beach in San Rafael, where Green Sangha has coordinated the clean-up since 2005. We meditated in public to ‘bear witness’ to the ugly problem of litter and to help focus our minds on positive action. Bernard Bouis, Tom Flynn, and I sat quietly together, just feet away from the rhythmic lapping of the waves on the beach. We breathed, listened to the soft sound of the surf and the harsh cry of the gulls, and felt the gentle breeze on our faces. After thus “cleaning our minds,” we acknowledged and felt solidarity with the thousands of other volunteers all across California, and the world, who were out cleaning their own local coasts and waterways that day. Soon we were joined by 14 enthusiastic volunteers of all ages who combed the beach and brought back bucket-loads of plastic, fishing line, bottles and all manner of discards – 29 pounds in all. The most charming item? A tiny plastic toy goose. The biggest/most unwieldy? A box spring mattress (we flagged that one for the rangers to collect later, exceeding the weight of everything else we collected). Volunteer Hailey came back again this year with her Girl Scout pals to celebrate her 11th birthday – she celebrated her 10th here last year, too. Litter in our Bay, on our beaches and in our waterways is a very serious problem for the health and well being of humans and of wildlife. Coastal Cleanup Day not only calls public attention to the problem of litter, especially ubiquitous and non-biodegradable plastic litter; it also offers people the opportunity to make a real difference to the safety and aesthetics of their local beach or coastline, and to contribute hard data which inform public policy efforts to help stem the flow of trash finding its way into the environment. Journalist Stephanie Weldy and photographer Alan Dep from the Marin Independent Journal chose McNear’s Beach to cover Coastal Cleanup Day and highlighted what draws local volunteers to clean up the shoreline. Read their story here: Marin volunteers collect 4-tons. A shout-out to the Sausalito chapter of the Lion’s Club, who each year lay on a tasty free barbecue for all volunteers each year at the Bay Model in Sausalito after the cleanup. They now provide veggie burgers, which means that hungry vegetarian volunteers are well catered for and also enables smaller-carbon-footprint lunches! A heartfelt thank you for ALL our volunteers who used their hearts, hands and minds to improve our coastline. You are the best! This entry was posted in Rethinking Plastics News and tagged Coastal Cleanup Day on September 21, 2017 by Stuart Moody. Civil Discourse: How Do We Do It? Like many counties across the state, Marin County is facing challenges that won’t go away easily. Some may be unique to our area, but others are common to many municipalities. Homelessness, traffic congestion, climate change, and the relentless pressure of rising populations all need our attention. And they need faster response than we have given them in the past. How do we get traction on issues when emotional temperatures rise? How do we create solutions that serve the greater good and build community instead of dividing it? These are the questions we pondered together on August 17. “How do you get beyond dichotomies?” Peter Graumann and Greg Brockbank asked this question for many of us. So many issues that come before decision-makers are constructed as dichotomies: do you approve the project, or do you deny it? Do you vote for the proposal, or against it? Additional answers appeared in many forms through the evening. Here is a summary of thoughts from the other panelists, followed by principles and practices embedded in their presentations and in the larger conversation. Maureen Parton. “What seems like a blessing may be a curse. What seems like a curse may be a blessing.” Her example: Charles McGlashan’s recovery from unexpected opposition by local grocers to his proposed ban on plastic tote-bags. Going back to the drawing board, Charles and team (including Maureen) built a coalition of advocates, grocers, and county officials. Over a series of meetings, this group came up with a plan that was better than what Charles had initially proposed. The ban passed at the Board of Supervisors without any local opposition. Photo: Charles Mc Glashan & Susan Adams interviewed by KCBS. Renee Goddard. A metaphor for our public conversations: what if we were to see community projects and issues as nature treks – shared journeys where cooperation is essential, where participants extend helping hands whenever needed to ensure that each member of the group is safe and successful, and where beauty and wonder are all around? Many “C” words express the soul of civility: compassion, concession, conversation, constructiveness. Another key word: crisis. Crises in public policy can become opportunities for growth when we see them through the lens of the cooperative nature trek. Differences in opinions, then, cam drive solution-making, as each participant has the potential to bring at least one new idea, skill, or piece of information to the process. Ella Ledyard. Anonymity can degrade civility. This is the danger of social media: it’s easier to say things without thinking through the possible effect on their readers. Level-headed discussion takes more time, but it can prevent hurt feelings. The ease of typing out one’s thoughts and opinions makes it all the more important to take a step back and look at what you’re saying before you send it. Be conscious of what you are saying! Hosting a reception for neighbors in a quiet, comfortable, holy setting. Sitting in a circle with wine and cheese, Sister Maureen described the plan. The sisters calmly listened to all the concerns raised by the neighbors. Meeting with City officials to review zoning concerns and how to apply for an easement. Proponents spoke calmly, knowledgably, and eloquently. They showed how the project was part of the solution to a larger problem that the whole community acknowledges. Anna Pletcher, attorney, complemented these ideas with a reminder of the power of story. Recounting an experience or series of events, when done authentically and with good will, can stimulate imagination and draw people into exploring ideas with you. Sashi McEntee, Mill Valley city council, pointed out that when citizens come to council meetings and other public hearings, it is usually because they have a complaint or a concern. They are also giving up something else that they would rather have been doing, such as having dinner with their family or taking care of their home. They are thus likely in a state of discomfort or tension. Recognizing the inconvenience, if not discomfort or suffering, inherent in this situation can help public officials remember to stay compassionate and considerate. Vision. Begin with a plan. Define clearly the outcome you hope for. Keep the goal in mind. Prepare. Do your homework. Get to know the issue as thoroughly as you can, so that you can present your ideas clearly, and be receptive to others’ input. Outreach. Concentrate on friend-raising. The underlying agenda for every issue campaign or project is building community. Listen. Take time to listen, so that you may truly understand each other. Be open to learning from those whom you came to persuade. They may persuade you as well. Empathy. Think of the other side. They have needs and goals, too. Listen for these needs, acknowledge them, and talk together about how these needs can be fulfilled at the same time that yours are being addressed. Respect. Remember that each person is to him or herself the most important person in the world. Remember that everyone is trying to avoid suffering and to find satisfaction. Flexibility. In the light of what you learn from others, explore what kinds of adjustments might improve your original plan. Patience. Give your project time to take shape and ripen. Calm. A modicum of inner peace helps with all of these elements above. A clear and tranquil mind can think more effectively, listen more easily, and see more deeply our shared humanity. If you can do these things, the resulting compromise (i.e., the co-created solution) can bring more benefit than the plans that advocates, opponents, and/or decision-makers had originally brought to the table. This entry was posted in Green Sangha Chapter News on September 14, 2017 by Stuart Moody. Mark your calendar and get ready to relax, unwind, and energize your system in a hands-on, hearts-on workshop with Stuart Moody, MA, Registered Yoga Teacher. Space is limited. Buy your ticket here. This entry was posted in Green Sangha Chapter News and tagged Sustainability from within, Yoga on July 8, 2017 by Stuart Moody. 350.org has been a major leader in climate awareness-raising, and climate actions, from rallies to the carbon divestment campaign. We enjoyed joining forces with them and everyone there. Other organizations present included Occupy SF, Environmental Justice Working Group, FrackingPollutesCalifornia.org, and the Party for Socialism & Liberation. The camaraderie was everywhere, and infectious. Below, Chuck Trumble (center) and Linda Currie (to his L) had a happy reunion with fellow participants in the 2014 People’s March for the Climate (the T-shirts they are wearing were designed by Linda for their trip across country via Amtrak). We hold in our hearts and our hands the miracle of mindfulness in action. With a deep bow of gratitude, we acknowledge all those who took mindful steps on November 21 on behalf of our home, planet Earth. This entry was posted in Green Sangha Chapter News and tagged Climate on December 4, 2015 by Stuart Moody. Teri Gerritz, Green Sangha member and group leader, has been hosting meetings and retreats at her home in Berkeley since 2010. An avid hiker, bicyclist, and world traveler, she has worked on political campaigns, habitat restoration, and plastics awareness. She spoke with board member Jonathan Billig on Wednesday, August 12, 2015. JB: How did you discover Green Sangha and why were you drawn to it initially? Teri: I heard about Green Sangha from a friend who lives in Marin. Compassionate action is what really drew me to Green Sangha. My mother was an activist, but she was always in tears about the state of the world, and I didn’t want to be upset all the time as she was. I wanted to find a way to become involved that wouldn’t take such a heavy toll on me. JB: What are some of the things that you learned through your Green Sangha experiences? Teri: Finding common ground with other people instead of focusing and playing up on the differences is very helpful, and Green Sangha has helped me with that. I have a good friend whose politics are very different from mine, and her husband has VERY different politics, yet I can find common ground with him. Before my time with Green Sangha, I’m not sure I could have done that. One of the things that I learned was that you never make anyone else into the enemy. It’s a matter of education, and we question ourselves and know that we might have something to learn, too. You can be a lot more effective if you hear where other people are coming from, and you might find a better entry point. JB: What is your current involvement with Green Sangha? Teri: The East Bay chapter meets at my house every month, even sometimes when I’m gone. I also work a lot of the events. Every meeting I provide the coffee and tea in my house and set up and clean up afterward. I also pay membership once a year. JB: Are there any specific techniques that you have found useful? Teri: Green Sangha gave me the meditation and the activism components of Buddhist practice. I did do a silent meditation retreat about ten years ago, but I had some trouble applying what I learned to everyday life because I wanted a more active process. Because of Green Sangha I have been involved with a regular meditation group, so the connections have been very helpful. I like Margaret Mead’s idea, that change can be significant even if it seems small, and it has to start with you, not with other people. JB: How is your experience with Green Sangha connected to the work you currently do? Teri: Well, for one thing I really like the Green Sangha principles. They’re on the wall in my office! I work with an organization for retired teachers, and I’ve introduced some Green Sangha practices at the retired teachers meetings. I’ve found that the board meeting is more productive, calmer, and people listen to each other more after we do a simple body scan. At our most recent meeting, I led part of Jack Kornfield’s forgiveness meditation. I also share mindfulness with some of my students, many of whom suffer from anxiety. It helps them a lot. JB: Do you have any advice for mindful activists or social-change oriented educators like yourself? Teri: It’s easy to feel like we’re not doing enough, and I try to remind myself that I’m doing what I can and that other people are doing what they can. Mainly it’s Principle 5 from Green Sangha’s list: we meet injustice without becoming lost in it. That sums it up. I just think it’s a fun journey. Also, I find that when you sit with other people it’s more powerful than sitting alone. Even if they’ve never meditated before, there’s something about the group energy. Something about being in that room together, and community – it’s very powerful. This entry was posted in Green Sangha Chapter News and tagged Interview, Member feature, Mindful activism on October 23, 2015 by Stuart Moody. 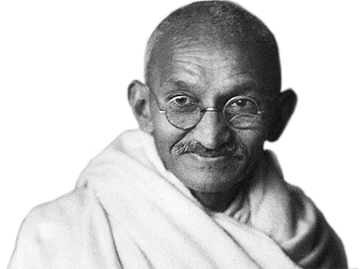 Each week, the Metta Center for Nonviolence sends out a daily “metta-gram” – a thought-provoking, heart-touching message connecting the life and thoughts of Mahatma Gandhi with issues of our day. Copied below is today’s essay, reflecting on the real meaning, and the real potential, of Columbus Day. You may recall that Berkeley, CA, became the first municipality to change the holiday to Indigenous Peoples’ Day in 1992. South Dakota preceded even Berkeley, re-naming the second Monday of October “Native American Day.” This year, Seattle and Minnesota joined the list of municipalities changing the designation of this holiday. Sixteen states do not recognize the holiday at all. In Arizona, we have one state legislator carrying the torch. To get on the Daily Metta list, write to info@mettacenter.org. Columbus Day, a national holiday in the United States, seems to be a celebration of Christopher Columbus, the man, the adventurous, courageous Italian explorer who convinced the Spanish king to send him on a sea-mission. Though really, it is a subversive celebration – a condoning – of his actions, his violence, and his economics. More than an explorer, Columbus was something far more problematic, and even emblematic of modern culture: he was what we would call today an “economic hit man,” opening an entire continent up for colonization. Our national choice to uphold him as one of our “great people” only signals to us that we have yet to fully transform our consciousness around the need for ethics in economics. Is it any wonder the malls are packed with sales on this day? It’s a day to celebrate stuff, meaningless material goods with little regard for those who made them, or are forced to sell them. But, here’s the important piece: it’s not enough for those of us committed to nonviolence to stop with such a negative analysis. Our goal must be to understand why he was who he was and what we might do differently. I wonder what would have transpired in world history, our collective legacy, had Columbus refused to dehumanize those whom he encountered in his travels. What would have been different if instead of a mission acting as a gateway to colonization, he spearheaded a goodwill mission for mutual interdependence and knowledge sharing? But no one taught or trained Sir Columbus in nonviolence. No one gave him the insight that to be “manly” and brave meant anything else besides violence and dominance. No one helped him to understand that there was no such thing as cultural inferiority. He had only been taught that his identity was superior. If Columbus had learnt these lessons before taking off across the ocean, perhaps a holiday in his name would be worth celebrating. For now, let’s use the day to do better by those around us. What can we do differently today that would help to transform the values upheld by celebrating Columbus Day? This entry was posted in Green Sangha Chapter News on October 12, 2015 by Stuart Moody. Coastal Cleanup Day dawned bright and warm at McNear’s Beach in San Rafael, Green Sangha’s adopted clean-up site. We were not short of enthusiastic volunteers ready for a day with friends, family, and teammates to improve their environment and earn some community-service credits for school. As ever, the McNear’s rangers were welcoming and helpful, providing plenty of buckets, bins, and litter-pickers to make our job easier. Eighth-grader Ruthwik had picked Coastal Cleanup Day for his school’s community service program. He and his dad made an efficient team, coming back with full buckets halfway through the morning and then heading out for more. Their red shirts were easy to spot far down the beach as they combed the rocks and sand. They scored the ‘most unusual item of the day’ – a seaweed-draped plastic frame inside a bicycle helmet – fitting for bike-loving Marin. Volunteers enjoyed its uncanny resemblance to an octopus or squid, with ‘tentacles’ splayed. Perhaps the creative minds at California Coastal Commission would like to use our photo for inspiration in a future outreach campaign, as a fitting visual which makes connections on several levels. We were also joined by the Dominican University men’s basketball team and one of their coaches. During orientation they accurately guessed the number 1 item collected in past clean-ups: cigarette butts, which, sadly, still plague our environment in large numbers. These easy-going athletic guys covered lots of beach and by noon had mastered the art of the ‘small stuff’ – those tiny bits of plastic that are most likely to be missed in other routine clean-ups and can end up far out at sea, absorbing water-borne toxins and/or in the belly of some unfortunate marine creature. An important goal of Coastal Cleanup Day is to connect people and communities with their coastlines. It’s an opportunity for local volunteers to show their respect and love for our Bay and its beaches – and to put those sentiments into action. While reviewing what the basketball team had collected I invited their thoughts and impressions of the morning’s efforts and one young man reflected, “I’ll never litter again.” Though the remark earned him a gentle ribbing from his teammates (“of course you shouldn’t litter!”), it made my day – a major score for mindfulness in action. This is what it’s all about. Another group of young friends, also from Dominican U, arrived just a few minutes before the official end of the day at noon just as I’d begun to tally the results. They set out energetically and 30 minutes later, while I was still counting, arrived back with two buckets full, adding a couple of pounds to our collection. That’s efficiency for you! One surprise for me was the conspicuous lack of polystyrene or Styrofoam – always a prominent item in past clean-ups – in our tallied results. What could this mean? Are local bans on foam food packaging actually having an effect? It will be interesting to see what state-wide Coastal Cleanup Day results show. In total, we relieved the beach of 10.5 pounds of garbage (including more than 90 cigarette butts!) and 6.5 pounds of recyclables, dispatched at the end by the appreciative rangers. Great job, everyone! This entry was posted in Rethinking Plastics News and tagged Coastal Cleanup Day on September 21, 2015 by Stuart Moody. This entry was posted in Green Sangha Chapter News and tagged Gratitude Gathering on September 1, 2015 by Stuart Moody.